Spread the love with this heart theme Quinceanera invitation. 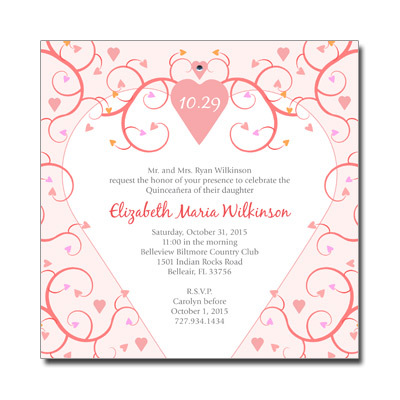 Pink hearts sprout from vines along the edges of this design, with a silver jewel adding a bit of sparkle at the top. Card measures 5.875 in. square and comes with adhesive jewels; light assembly and additional postage required.